Megan Landers has an English Degree from Slippery Rock University of Pennsylvania. 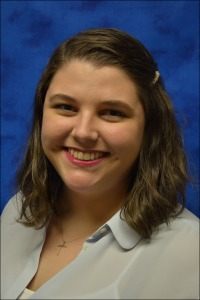 She has always dreamed of working with children and worked for Camp Lutherlyn, a Lutheran Camp in Prospect, PA for two summers as a camp counselor. She has worked with kids of all ages and loves each age group for different reasons. She cannot wait to get to know and love your kids where they are!